Almost every single day I get asked this question, “Why do you still shoot film when digital cameras are more convenient and don’t constantly cost money?” Oh my lawd. I have seriously thought about getting the answer to this question put on a tee shirt, both front and back, since I answer it so much. It gets annoying having to answer the same question over and over but don’t worry, I really do understand why you ask me and I get it. 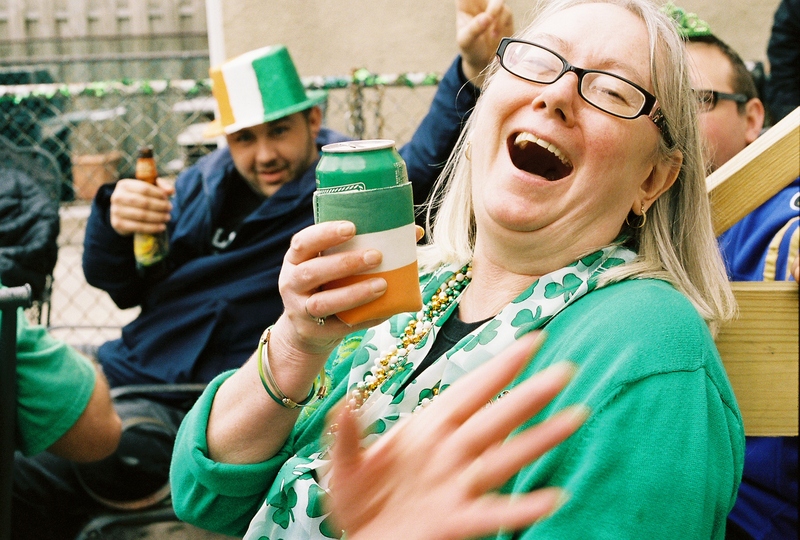 I mean, why DO I still shoot film when each roll costs me around $23 from start to finish? Why do I still shoot film when I have to wait to see my photos? Isn’t the convenience of immediacy better? Well to begin with, I LOVE the way film looks. 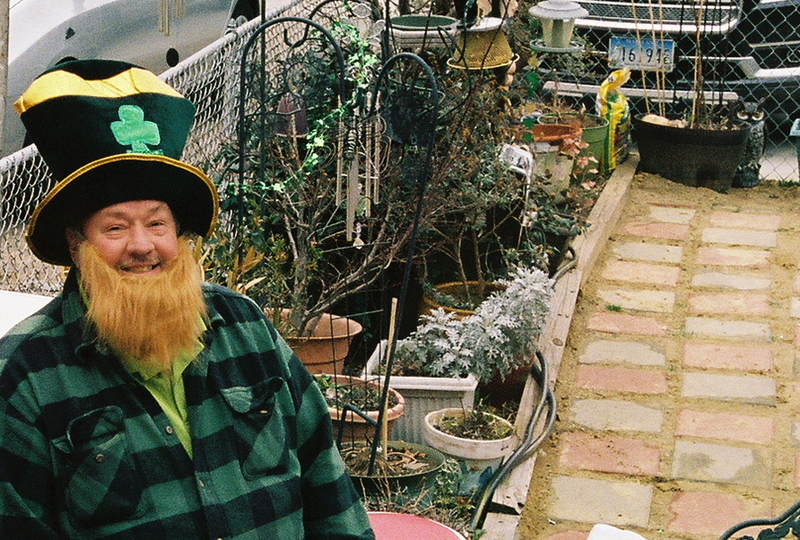 If you take two images, one digital and one film, it will (hopefully) be very apparent to you which one is which. So many photographers spend HOURS upon hours in Photoshop trying to recreate that special “look” film has; the color, the depth, the contrast, the grain, all of it. I try to show this comparison with all of my personal work I post. The cost isn’t something I jump up and down about. A roll of film that I typically shoot is around $6-8. The cost of processing color film with a high resolution scan to transfer the image from negative to digital file is around $13 per roll. I usually turn out about two rolls, so that makes it around $42 per shoot. The reason I don’t mind the cost is because I am technically paying for each frame, which makes me focus better and forces me to get each one right. I’d rather end up with 72 well composed images from the film rolls that I paid for than 30 images out of 300 that I blindly shot on my digital camera. 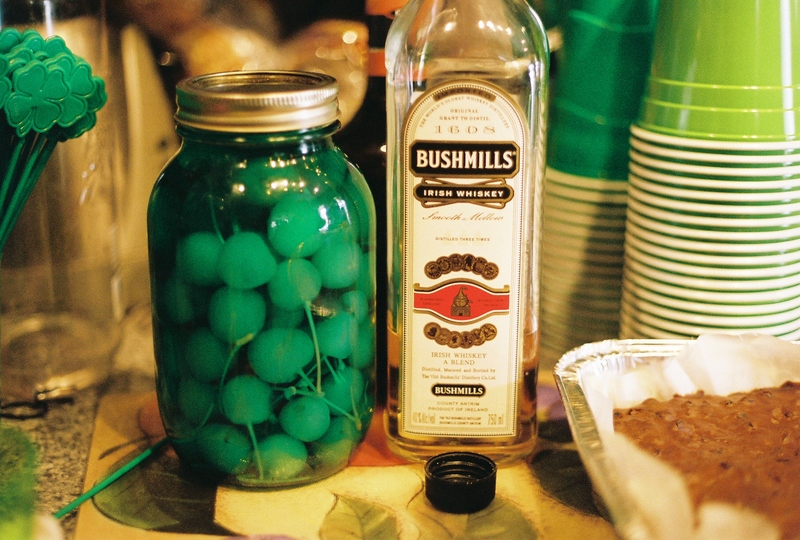 With film, you can’t afford to mess up and each shot is worth it. There’s nothing that gives me a bigger headache that overshooting on my digital. I like to see my photos right after I shoot them…an hour after I shoot them. Having the time to let my photos process gives me time to reflect and think about how the shoot went. Without seeing them immediately, I am able to save myself from deleting something that may turn out to be great. Far too often I’ve discarded really great photos because I looked through them way too fast. It’s nice to have some time. You might surprise yourself. I like the color rendition in film. If you expose correctly, the color is spot on perfect…very hard to obtain with a digital camera. Most photographers I know spend quite a bit of time color correcting and editing post process. Many digital lenses DO offer beautiful color rendition, but I’m content with my $50 lens. Lastly, I enjoy manually focusing and loading my film camera. I don’t know WHY, I just like it. It makes the process feel more personal and more human. Bottom line really: I just enjoy it. It’s just another medium and another tool of art. Digital is fun, but film means more to me. With that being said, I have a cool project for those interested in DIY stuff. Haven’t done one of these in awhile. So I found this little project on PhotoJoJo and it seemed really cool to me. It’s a stained glass window (or curtain) made out of transparencies or slides. You can either use 35mm slides, which are those things your teacher used on the projector back in the day, or you can even take your Instagram photos and print them on transparency paper. 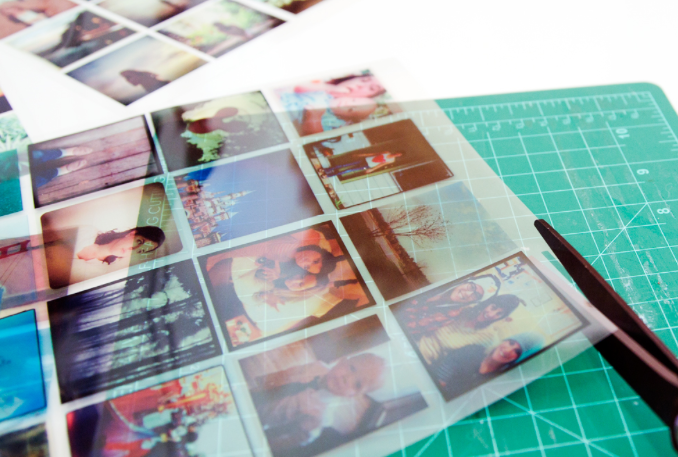 a digital grid layout of Instagram photos or your own photos printed onto transparency paper. 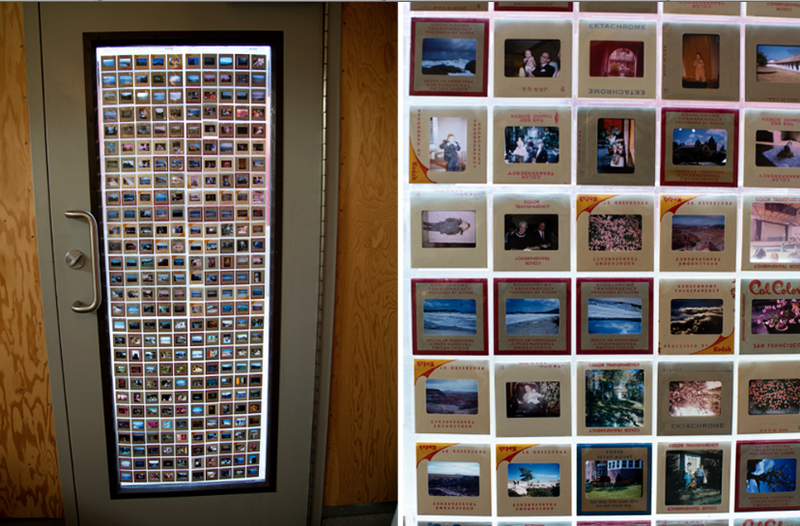 archival slide sleeves found in any photo lab, they are plastic protectors made up of squares. 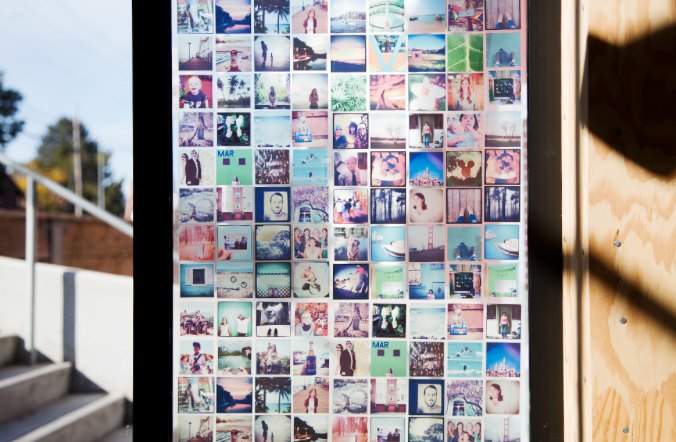 After you have everything, cut the Instagram grid up into individual photos. If you are using slides, no need to do that since they are already cut. Figure out how much space you will need to cover the selected window or door. Keep the white strip at the top of your first photo sleeve page. It has holes where it can go into a binder. This is where the hooks to hang it will go. All the other sleeves you can cut that part off since you will be gluing them together. Really pretty right? I love unique pieces of art, especially those that allow recycling. I figured that since this is so easy you guys might want to give it a try. I’ve been dabbling in using slide film, so hopefully my next post on my personal film work will feature some fun slide examples. Be sure to check out the original DIY write up here on PhotoJoJo’s website! Me too. I love how simple and creative it is! Very interesting article. What a creative mind to think of making a stained glass window with slides….. artsy people absolutely amaze me…. btw loved your photos! I know! When I came across this online I knew I had to share it. 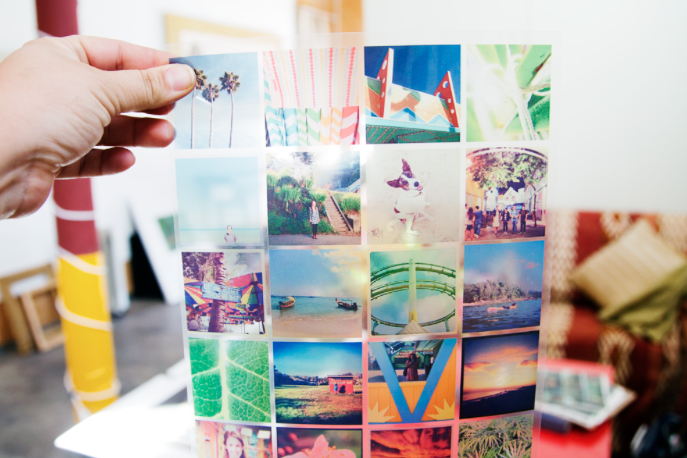 Photojojo has some really cool DIY projects. I always say I’m going to do them but I never get around to it. Hopefully this one I’ll do because I really need a window covering. And thank you!